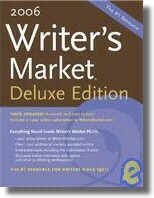 as one of the 101 Best Websites for Writers. 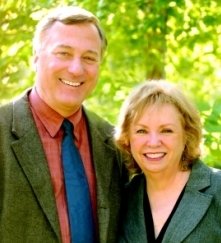 Allen and Linda Anderson's article "Writing on the Run: Finding Time to Write" was featured in the Writer's Market. Writing on the Run is the art of simultaneously living, observing, and writing about life as it happens. It means to free your creative writer -- the part of you that cannot, will not be deterred by society, sickness, humiliation, or lack of time -- to express thoughts, emotions, and wisdom any time, any place. We welcome you to Writing on the Run ™ -- The Natural Way to Write Any Time, Any Place. Below the media information display is a quiz you can take to help you decide if you want to spend the time reading one more word on this Website. Mentally checkmark the questions to which you would answer "yes." ____ Do you want to write but don't have the time to fit one more thing into your busy life? ____ Are your home and family responsibilities keeping you from finding time for having a creative outlet, such as writing? ____ Do you have a job that requires a lot of attention and long hours, leaving you drained and only wanting to vegetate when you have time off? ____ Are you feeling guilty about spending time and taking up space for writing when your family, job, friends, health, etc., etc., etc. SHOULD be coming first? ____ Are school assignments and have-to-writing on the job destroying your love of writing? ____ Do you believe that writing is a waste of time unless you're being published or getting paid for it? ____ Are you getting lack of support, or even, hostility from others whenever you make attempts to carve out time and space for your writing? ____ Are you in an environment where others don't realize how important writing is to your peace of mind and need for self-expression? ____ Has a teacher or someone in authority told you that you don't have writing talent and need to find yourself a "real" job? If you have answered yes to any of the questions above, are you ever going to love Writing on the Run! If you're like us, you have to write through a busy schedule, a full household, and loads of self-doubt. When our children were young, Allen worked the "graveyard" shift as a police officer. Linda had the demanding responsibility of being the literary manager for a regional theater. In addition to chauffeuring our children and pets to appointments and trying to have quality family time, we wrote in the early morning and late evening hours. In 1996, we formed ourselves into a writing team and began to write, publish, and promote our first Website, printed newsletter, book proposal, and book. To work as a team, we had to become even more proficient at Writing on the Run. Because writing is how many of us understand and complete the experiences of our lives. Because studies have proven that writing is an antidote to DEPRESSION; people who write about their painful life experiences recover from them more easily and quickly. Because writing is a lifeline of communication to people all over the world. Because writing can provide additional, even full-time, INCOME. Because writing is a FUN and enjoyable way to express your thoughts, feelings, and insights - even if it's only to yourself. 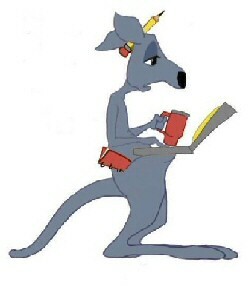 Most of all, KEEP WRITING in 2012. 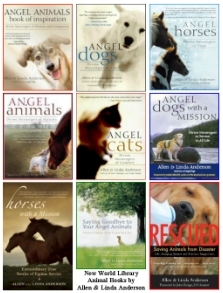 Allen and Linda Anderson and the Angel Animals Network. Writing on the Run™ Copyright © 2002-2016. All rights reserved. and cannot be used without permission.